Ten of Cups speaks to us of emotional abundance, a coming of age as-it-were on an emotional level, or emotions having come full circle. What was previously one cup (the Ace of Cups) has now become a family of cups. Potential has thus fully manifested. Rainbows and dreams can both be seen as stairways to the proverbial heavens. In Norse mythology Heimdall, the god of light, was the guardian of the rainbow bridge that led to the realms of the gods. And surely it is here, in these godly realms, where we can be assured that our dreams come true? 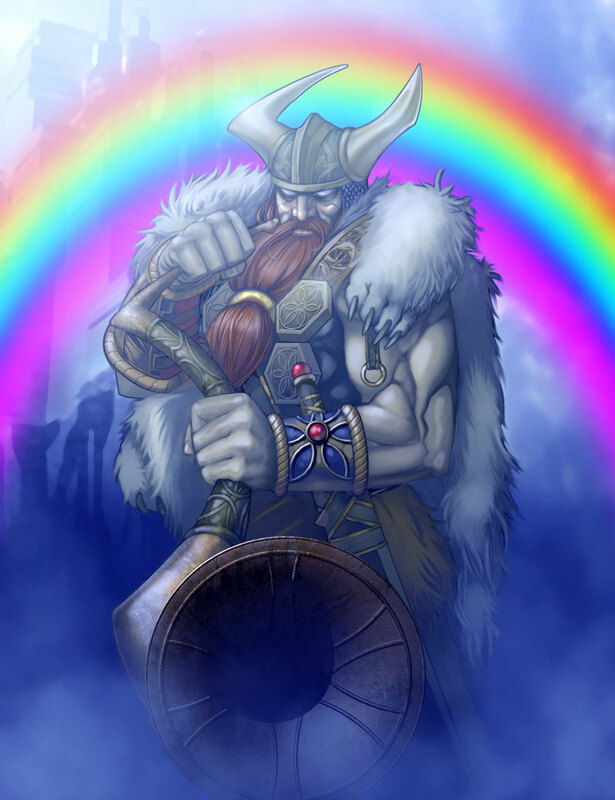 Heimdall guarding the rainbow bridge. Ten of cups reminds us that we can indeed manifest our dreams, and that we do indeed possess the power of the gods to do this. 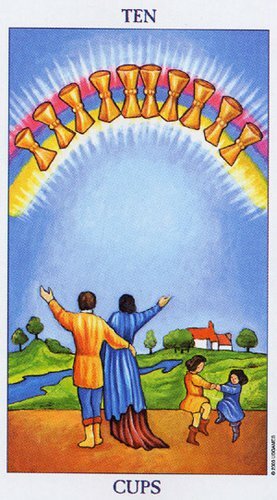 Notice how one cup has manifested into a family of cups on this card, and how community and family seem to be the central and dominant focus of the card. This card serves to remind us that this is indeed the proverbial pot of gold at the end of the rainbow. That it is safe and good to dream and to continue dreaming our desires into manifestation. The emotion that is emitted from this card is that of joy and accomplishment. It is a time to examine and congratulate ourselves on what we have achieved. Yes, we have achieved much, but perhaps we forget how far we really have come? Well, now is the time to stand back, and for a moment allow ourselves to relish the satisfaction of our achievements. Recognize the rewards that we have manifested in our lives as a result of allowing ourselves to dream a better dream, a better reality. 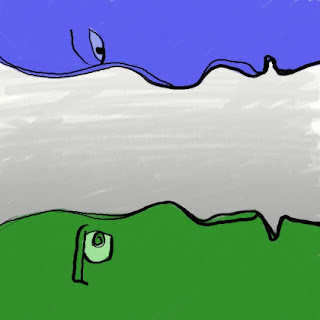 Yes, I am speaking directly to you, even you who may think that you still have such a long way to go before you can stand back to examine your achievements. Take stock for a moment of how far you have already come, since you first recognized the stirrings of power that resides within you. The power to make dreams come true. Your dreams. The sense of community that this card brings us is also a reminder to us that when we work to bring something to full manifestation, the effects of these spill over and impacts on more than just ourselves alone. We are thereby reminded that we are all interconnected, so that what we manifest will touch and affect others. In the case of this card, it is joy that touches the lives of those around us, as a direct result of our manifestations that have fully matured and materialized. Therefore, we learn today that it is okay to dream. More than okay, it is encouraged. For conscious creation must surely be better than unconscious creation? Where our attention should lie in the dreaming process is clarity on what it is that we are dreaming into realization, because it will manifest and when it does it will spill over to touch the lives of others too.